Last week's weekend project was No Bake Lemon Cheesecake. Really easy to do. 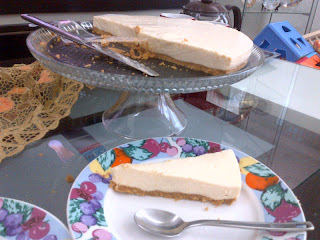 Go and google the recipe or search the video on youtube as the recipes and ingredients may vary. OK before you start making the cheese batter, first you have to crush some biscuits and add melted butter. I used digestive biscuits. Mix the melted butter and the biscuits and press into a spring form pan and chill in the fridge for it to set. 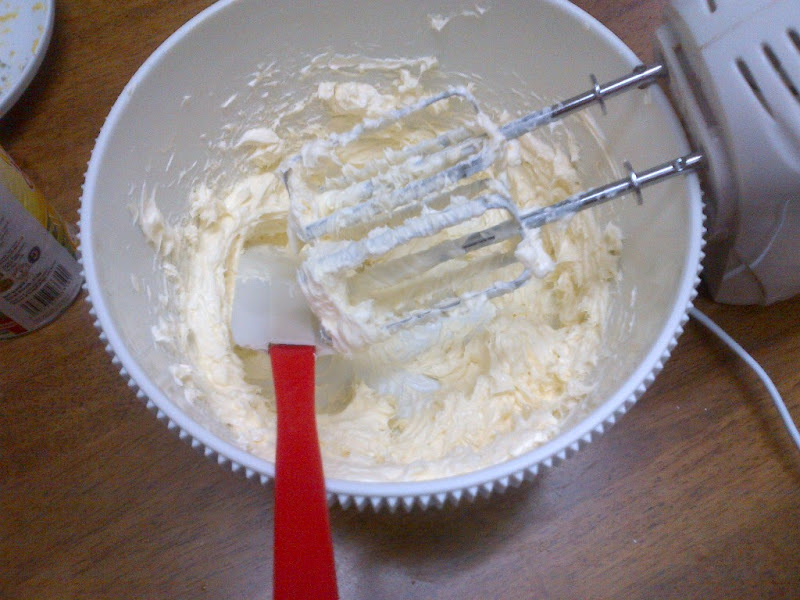 In the meantime, you can make your cream cheese batter. Make sure you use a spring form pan for this type of cake. Beat cream cheese until soft and fluffy. Grate a lemon zest but make sure you do not grate the white parts as they are bitter. Juice the lemon as well. 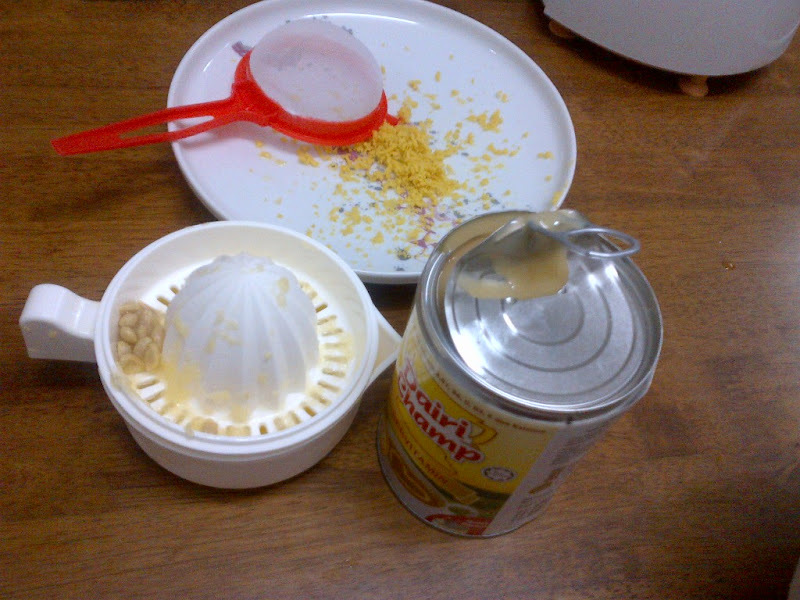 Add lemon zest, lemon juice and condensed milk. You can gauge how much condensed milk to put according to your liking. 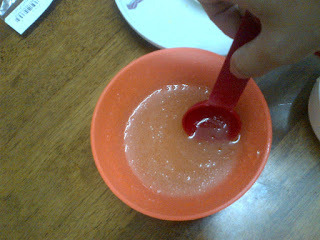 Dissolve 1tbsp of gelatine powder in boiling water. Some recipes don't use gelatine powder because the lemon juice can set the cream cheese but I've got gelatine powder in my pantry so I just used it. 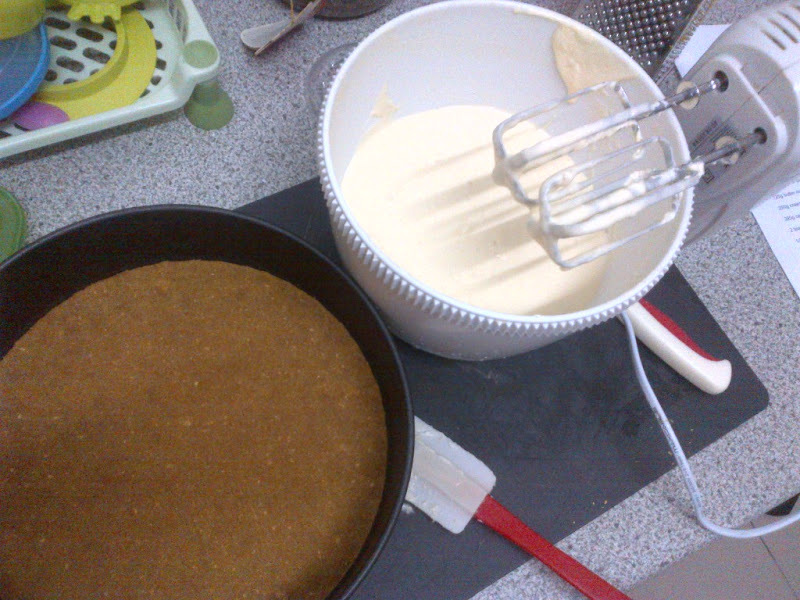 Mix the gelatine mix into the batter and continue to beat for a few minutes until all ingredients have incorporated. Once the batter is ready, pour into the spring form pan and cover with foil or cling wrap before you refrigerate. 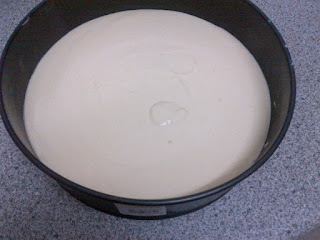 Refrigerate for 6 hours or more. I refrigerated mine overnight so the next day the cake sets beautifully and firmly. Once you are ready to eat the cake (honestly I can't wait to cut it the next day), slowly and carefully remove the cake from the spring form pan. Cut with a sharp knife and serve immediately. You can always add some fruits to garnish but I left it as it is. The taste is simply refreshing and not overwhelmingly creamy because of the lemon. It is simply divine. 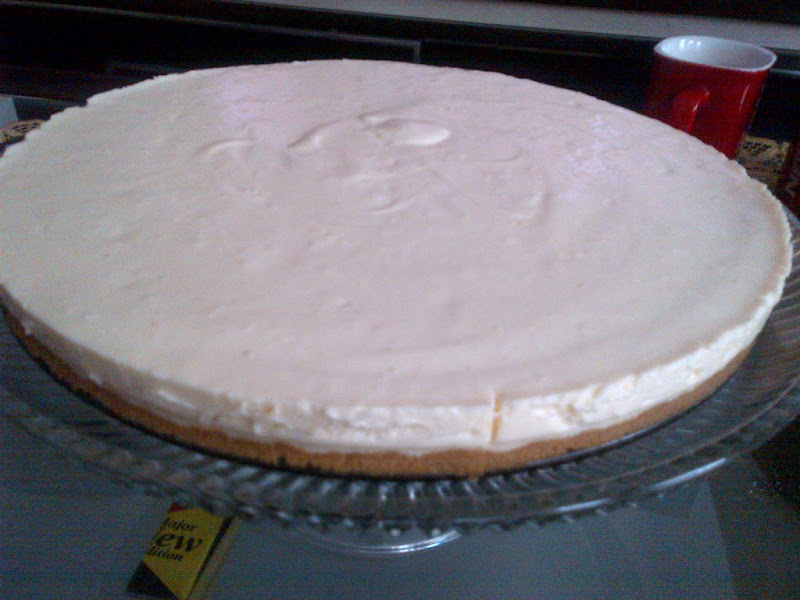 Imagine pure cream cheese with a twist of lemon with digestive biscuits...Ahhhh bliss. Next time I want to try Oreo Cheesecake. Yummy! !